@ComplexMagAir Jordan IV Retro "Military" Nike Air Foamposite One "Pewter"
In addition to seeing which kicks made the cut, cast your vote on which of our Twitter followers had the best shoes of the day, and don&apos;t forget to not only follow us (@ComplexMag), but to also send us your sneaker Twitpics every Tuesday and Thursday morning with the sneaker name and tagged #Twitkicks. 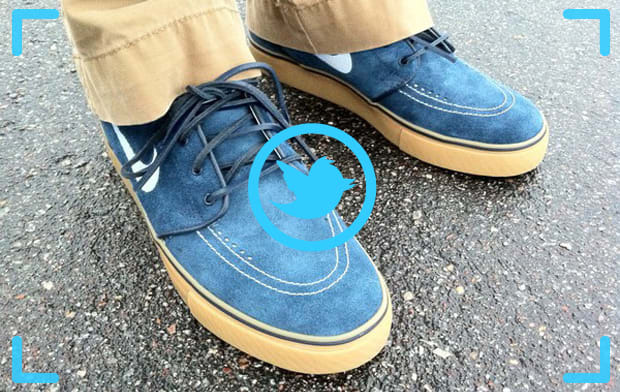 If you keeping bringing the heat every time you tweet us, you just may be the next Complex Twit-Kicks All-Star. Nike Air Force 1 Low "NYC"
Nike Dunk High Pro SB "De La Soul"
Air Jordan IV Retro "Military"
Nike Air Force 1 Supreme "Workboot"